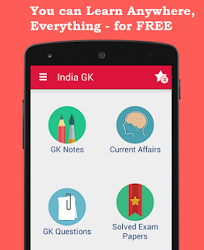 9th, 10th December 2017 Current Affairs MCQs, Quiz, Questions: Current Affairs for December 2017, Daily Multiple Choice Questions (MCQs) for India GK, World GK and current affairs with Collection of daily objective type Question by www.Indiagk.net based on General Knowledge (GK) and General Science (GS) Questions for UPSC, State PSC, SSC, Police exam, Railway exam, SBI, Bank PO, IBPC, SSC, LDC, UDC, Army, Airforce, Navy, Coast Guard, Bank Clerk, TET and all entrance examination with current affairs News, Multiple Choice Questions (MCQs) available on Website www.IndiaGK.net and Android Apps with daily updates:. Which country is hosting the “Bodhi Parva: BIMSTEC Festival of Buddhist Heritage”? Which state unveils country's 'first' mobile food testing lab? Lalji Singh, the father of Indian DNA fingerprinting has passed away. He hailed from which state? India has been declared free from trachoma, which is a contagious bacterial infection of which part of human body? Which country wins Hockey World League (HWL-2017) tournament?